Can you say perfect brunch food?!?! (I’m sure you can.) 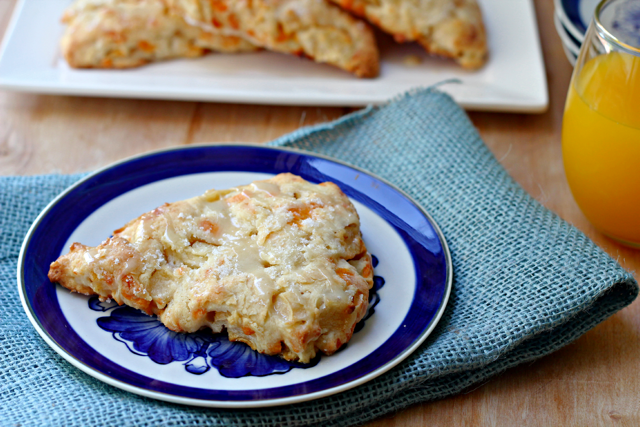 These Apple Cheddar Scones with Honey glaze are it! As far as Rosh Hashanah cliches go, apples and honey is it. 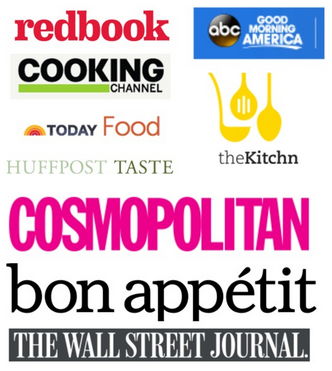 And I’ve done everything with apples and honey from cupcakes to chicken to crostini. But then I was thinking, what about breakfast? 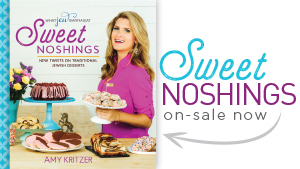 Why not wake up on Rosh Hashanah morn and immediately start on sweet new year goodness? I know, smart thinking. 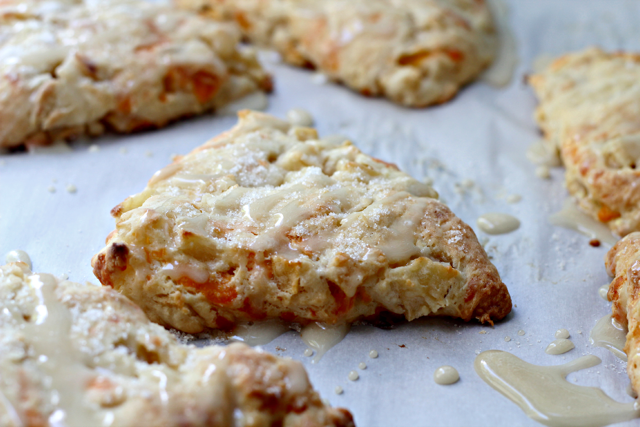 In celebration of all things apple, I made these scones. I’m more of a savory breakfast girl, so I thought why not add cheese? Smart thinking again! The cheese balances out the sweet apples which balances out the 6 mimosas. That’s how that works, right? Just to ensure an extra sweet new year, I doused drizzled the scones in a honey glaze. A glaze so good you can eat it for breakfast. Literally. This recipe makes six, perfect for sharing. Or perfect for secretly eating in your room. Either way. 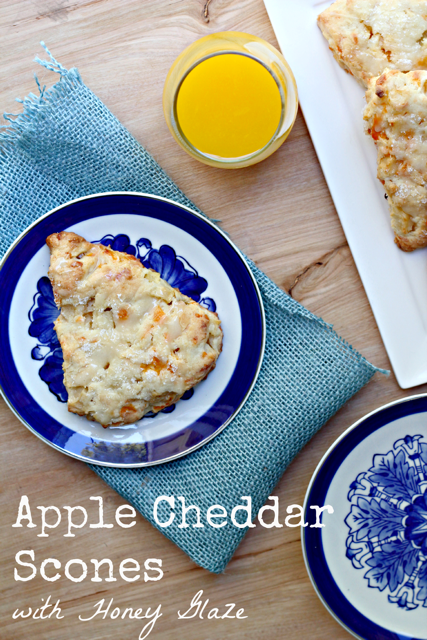 Apple Cheddar Scones with Honey Glaze- the perfect Fall brunch food! 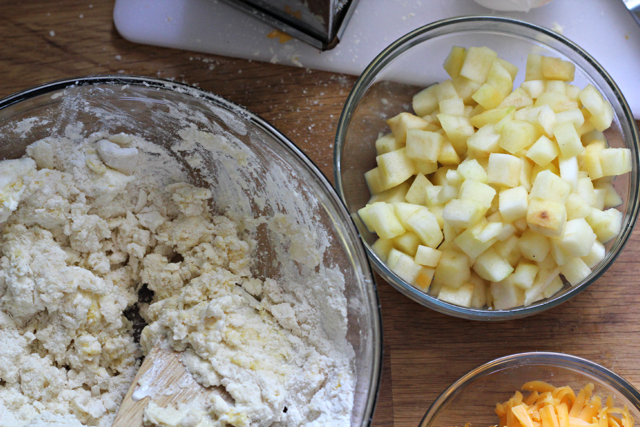 1 pound (2 cups, about 2 medium) Stemlit Honeycrisp Apples, peeled, cored and cut into small chunks. Heat a large sauté pan over medium heat and add oil and heat. Add apples and 1 tablespoon sugar and sauté while stirring until apples start to soften, about 1 minute. Transfer to a bowl and put in the refrigerator to cool. 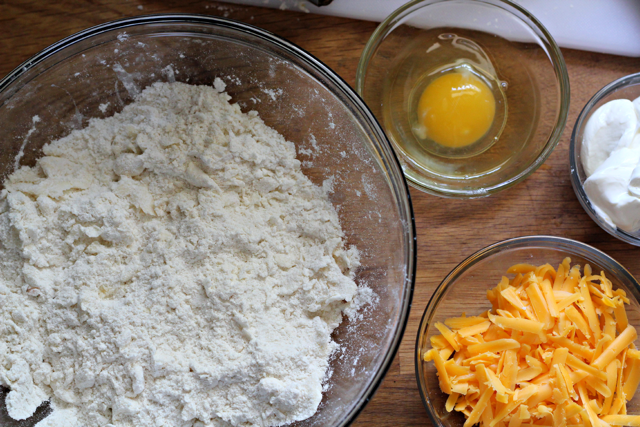 Meanwhile, in a medium bowl, mix together flour, 4 tablespoons sugar, baking powder and salt. 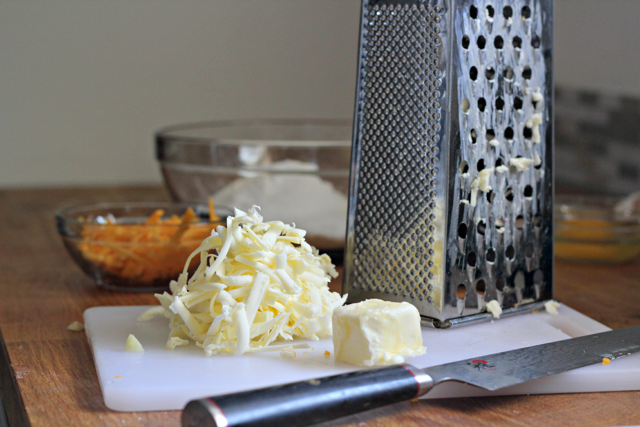 Grate chilled butter into the flour using a grater (or cut with knives) and use your fingers to combine into a coarse dough. 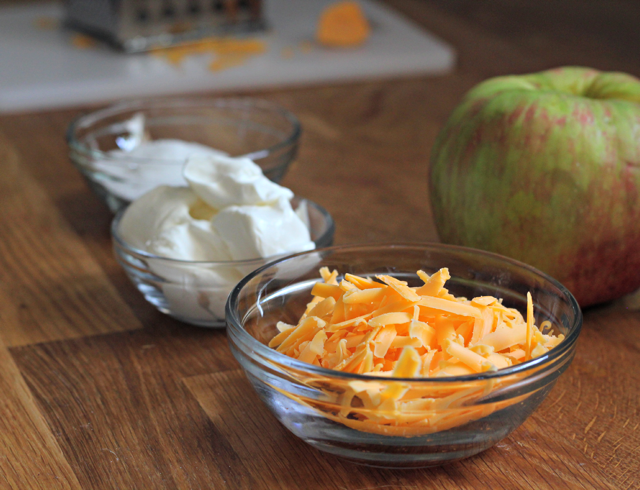 In a small bowl, whisk together sour cream, egg, cheddar cheese and apples. Add to dry mixture and combine with a spoon just until mixed (do not over mix). Pat the dough into a 1-inch thick circle on a floured surface. 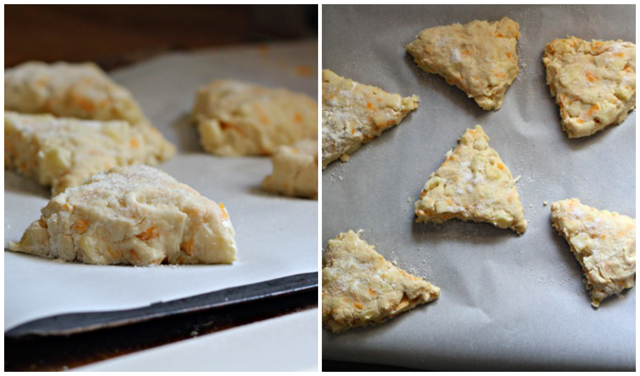 Cut into 6 wedges and transfer onto baking sheet at least 1-inch apart and sprinkle with sugar. Bake 30 minutes or until golden brown. While scones are cooling, make glaze by mixing together powdered sugar and honey. Add water just until you get a glaze thick enough to coat the back of a spoon. 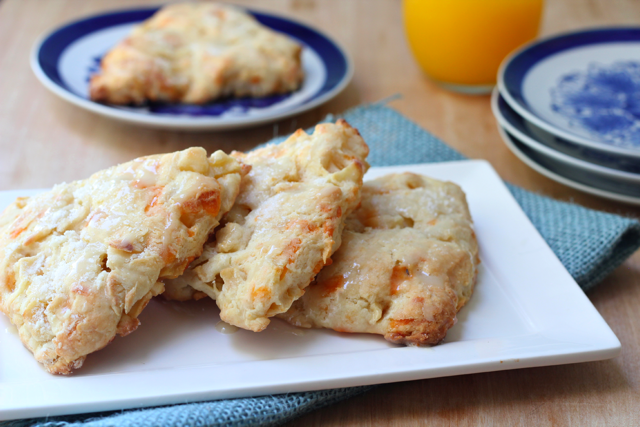 Drizzled scones and eat! This is a sponsored post with Stemilt, but all opinions are my own. 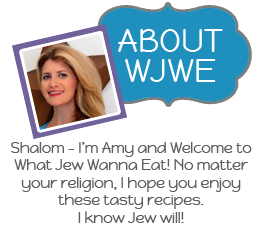 Thanks for supporting What Jew Wanna Eat! Jew rock. 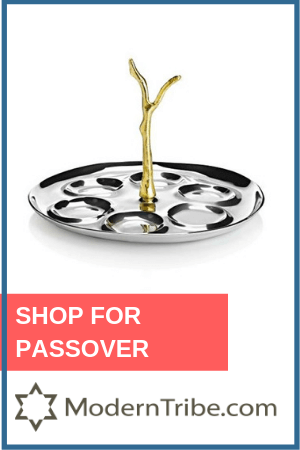 « Rosh Hashanah Giveaway with Manhattan Fruitier! YUM!!! 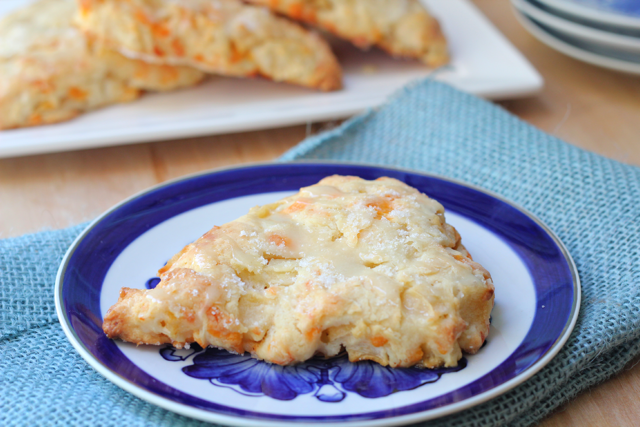 you had me at apple and cheddar! love this, amy!!! Thank you, Miss Molly! Happy New Year to ya! 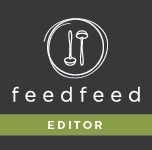 Hi Amy, Just curious if this is a typo or…? 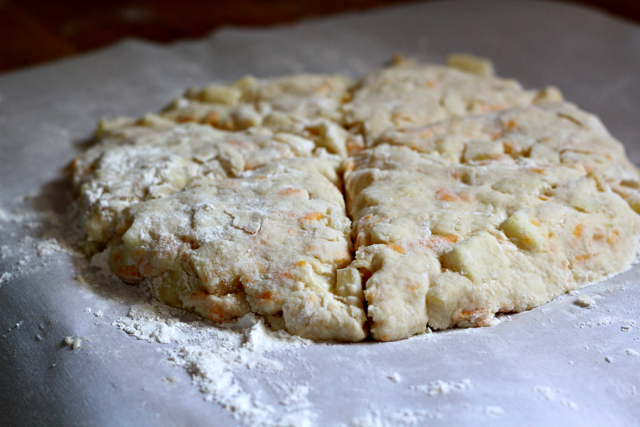 In #5 of the instructions it says to pat the dough into a 1″ circle – is this correct? No, not a typo. You make a circle and cut into pizza-like slices!